My time in Beaujolais has left me with a strong distaste for the appellation of Beaujolais-Villages. Not for the wines themselves, of course. Just the appellation, its haziness. It began well enough, in 1946, when it was decreed that certain communes could append their names to the basic appellation of Beaujolais. 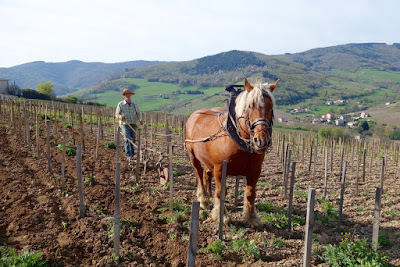 But a later decree in 1950 created the blanket appellation Beaujolais-Villages - a designation that might as well have been conceived expressly to play down the influence of terroir in the region. 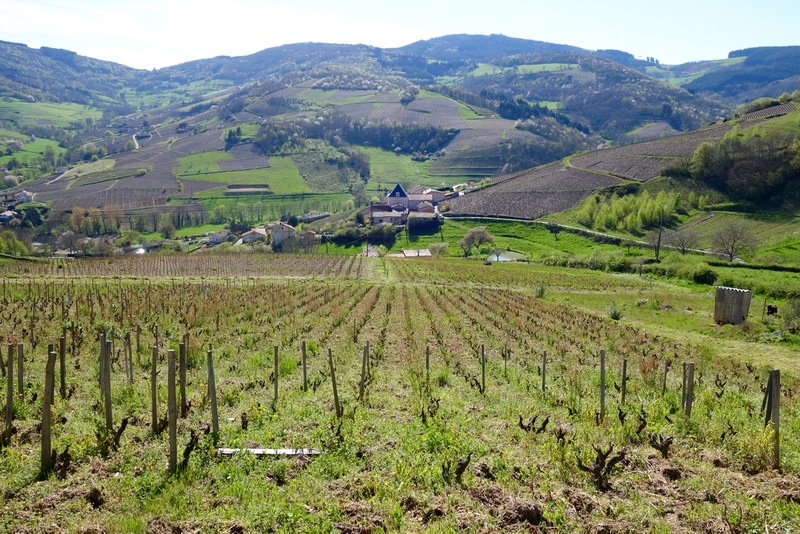 The -Villages designation was once useful for allowing large-scale négoçiant enterprises to indicate mainly granite-soil, gobelet-trained fruit sourced from throughout the region at large. But these companies set the market expectation, such that it's now rare to find vignerons who take advantage of the 1946 decree to promote their individual commune's terroir: Beauojolais-Lancié, Beaujolais-Quincié, or Beaujolais-Marchampt, for example. It's a shame, because the traditionally vinified wines of individual Beaujolais communes do indeed possess a character all their own. 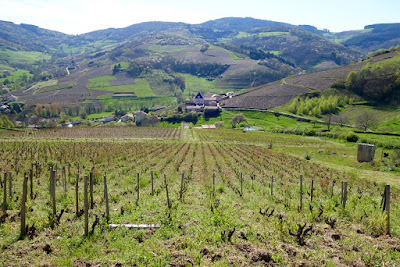 Where Quincié B-V often tends toward the rusticity and richness of nearby Régnié, Marchampt B-V is unique in its altitudinous, high mountain fruit. 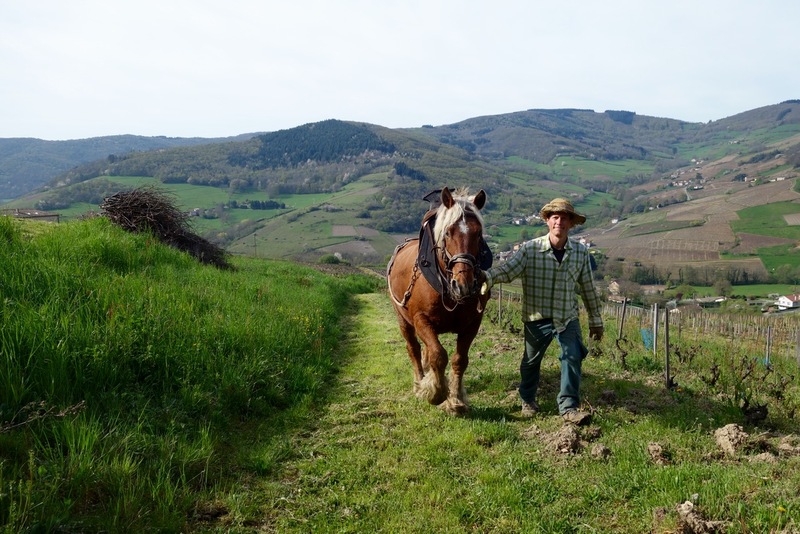 Hervé Ravera, a sulfur-free natural winemaker who set up shop in Marchampt in 2007, avoids the appellation system altogether, bottling his tiny Beaujolais-Villages production as Vin de France. 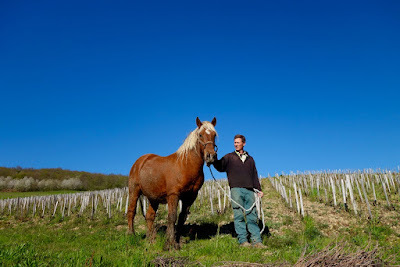 Ironically, alongside those of his neighbor Nicolas Chemarin, Ravera's wines are just about the purest expression of Marchampt terroir available today. Vinification wasn't always so radically pure chez Ravera, however, and the winemaker's evolution over his decade in Marchampt is as impressive for its scope as its rapidity. "In 2007 we bought the house, the winery, all the vines, so my first idea was, 'I can’t mess up the wine,'" Ravera explains. "So I was accompanied by a technician from the Chamber of Agriculture - an oenologue - and he advised me to chaptalise, to yeast, and to put in nitrogen. I also filtered at bottling." 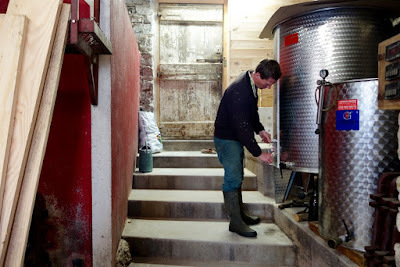 2011 was the last year Ravera partially filtered and added sulfur, and this only on part of the domaine's production. He later found that the unfiltered, unsulfured portion, which initially had an issue with off aromas developing with aeration, repaired itself in bottle. Since the 2012 vintage, he ceased filtration and sulfur use entirely. "I said to myself: you must take confidence in your work, and stop bothering yourself each time there’s a little thing," he says. "When you want to work without additives, you have to admit that wine goes through truly curious stages, where it can taste bad. You wait for the wine." 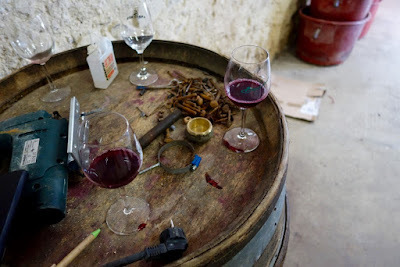 Ravera at the Beauj-alien tasting, April 2015. A series of influences led him to his present philosophy. He left his career as a nurse in Lyon to pursue a degree from a Centre de formation professionel et de promotion agricole (CFPPA for short) in Mâcon-Davayé, where he became sensitive to notions of organic and biodynamic agriculture. 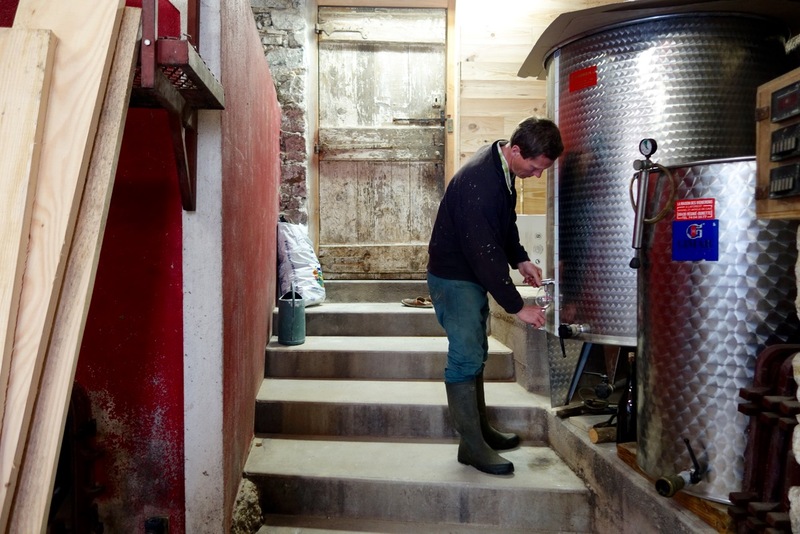 Ravera later worked a year and a half for noted biodynamic Maconnais winemaker Marc Guillemot. He had a friend at the time who was an intern at Domaine Marcel Lapierre, and who introduced him to the taste of natural Beaujolais. 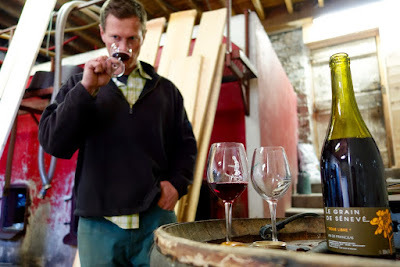 "After tasting this wine that was made without preservatives, I said 'That’s the kind of wine I want to make,'" he says, echoing many others around the wine world in his regard for Lapierre. "Then I met Philippe Jambon at a organic festival, and I tasted his wines, and it finished convincing me." Whether for aesthetic or economic reasons, Ravera hasn't followed Jambon down the rabbit hole of extended élevage of gamay. 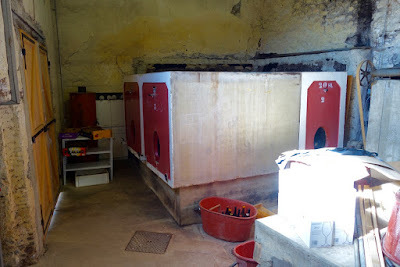 Ravera's wines typically see semi-carbonic fermentation concrete tank without pigeage or pumping-over, followed by eight to ten month's aging in concrete before bottling. In 2015, however, yields were so low as to make it impossible to sufficiently fill the concrete tanks, so the wines are aging in smaller steel and fiberglass tanks. 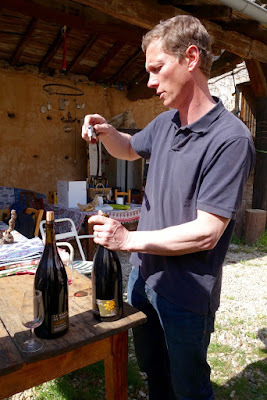 In 2015 Ravera also made two new micro-cuvées from recently planted vines: one entitled "Des Nombreux Amis Viendront Ce Soir" that saw 1-month pure carbonic maceration, another entitled "Le Monde est Trop Petit" that saw a whopping 2-months of same. Both were still finishing their sugars when I visited in April. Interestingly, he's keeping "Le Monde est Trop Petit" in a rather warmer attic space, apart from the main cuvage. Both wines were showing a fulsome glycerolic character that I've encountered in a lot of 2015 pure-carbo wines. 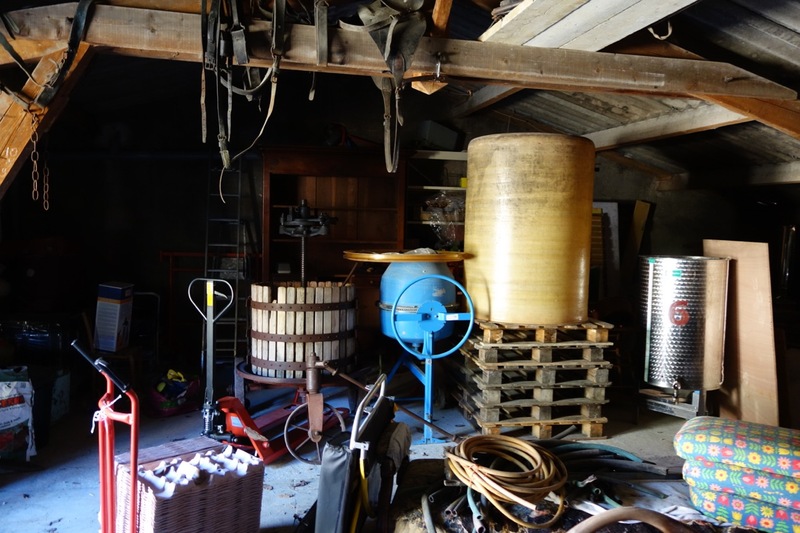 It seems to have been an unhappy twist of fate that so many winemakers tried this difficult vinification style for the first time in 2015, the most concentrated year on record. 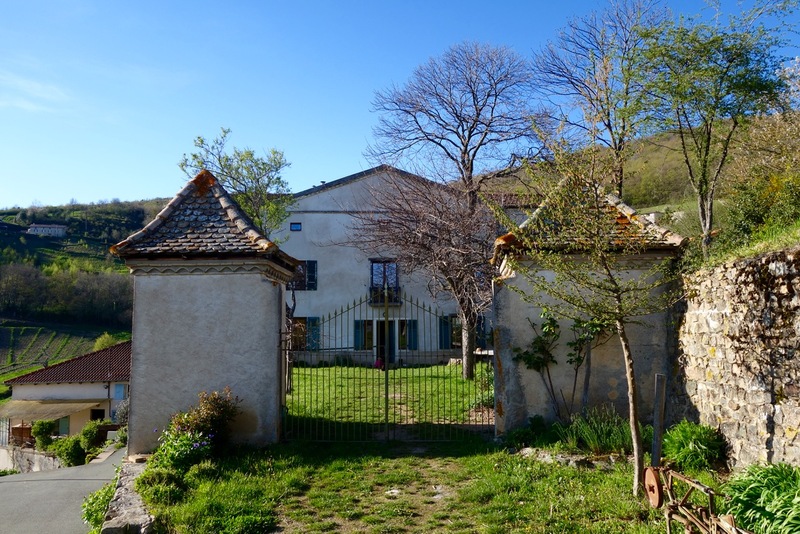 Ravera's two principal cuvées, entitled "Roux Libre" and "500m," derive from parcels on either side of his house. "500m," as the name implies, is the higher parcel, which tends to show keener, more angular fruit - but in real terms the difference is negligible. The whole hamlet of Laval towers over the surrounding hills. And if the character of the 2015 vintage was a challenge for pure-carbo cuvées, it seems to have been a boon overall to Marchampt, where fruit can be a little diaphanous in leaner years. Ravera's 2015's all show an uncharacteristic swagger and flair. The "500m," tasted from almost-finished tank sample at Biojoleynes in April, simply sang with tense black fruit and mineral glimmer. "It’s the first year that it goes through the winter with sugar," Ravera reports. "Usually, with the yeasts here, in three weeks here it’s finished." Asked whence derives his heroically active native yeasts, he says: "I think it's due the altitude, the good acid, and also I like to work the terrain, so I have quite a bit of nitrogen available for the fermentation." Nor is Ravera just whistling dixie. I had the opportunity to witness him working the terrain the following day, when he plowed the "Roux Libre" parcel with the aid of his plow-horse, "Reggae Night." There is indeed a sense of isolation in Marchampt. The town itself has a vaguely Swiss alpine air. One feels off in the countryside of the countryside, at least relative to the more urbanised landscape between Belleville and Beaujeu. 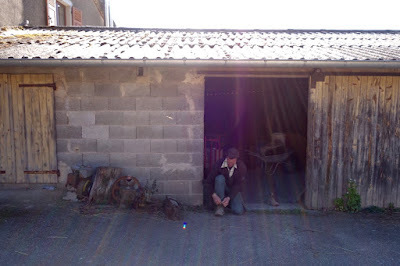 One isn't far from Beaujeu, as the crow flies, but it's still a twenty-minute drive around a small mountain. Happily, there is a good sense of community among the immediate neighbors. 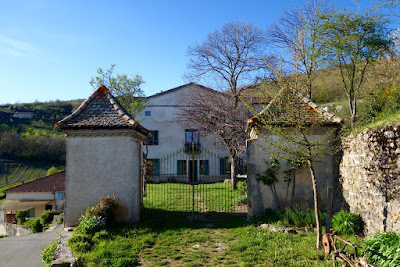 Besides Ravera, the town contains at least two other winemakers with similar ideals. "Often for the pressing I’m with Gerard Belaid and Nicolas Chemarin or his father," he says. "We de-vat around 7AM. By 8AM we’ve finished devatting, and we bring out the sausage and the cheese, and during the pressing, we taste through older vintages." Ravera doesn't have many older vintages. But a 2013 "Roux Libre" he opened was a fascinating rebuttal to the conventional wine wisdom that low-alcohol wines won't age. Tight and reticent at first, it soon bloomed in the glass to show fine-grained ripe cherry, flecked with winter spice, and the upright, wiry structure common to Ravera's oeuvre. It was 10.5°, articulate yet ephemeral, passing like a celestial vision - not Beaujolais-Villages, but Marchampt. Ravera with Reggae Night in the "500m" parcel. 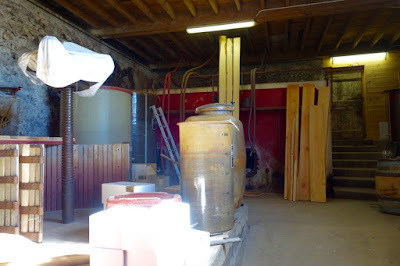 An excellent April 2015 article on Hervé Ravera at La Pipette aux Quatre Vins. Really excellent in-depth profile. I met Hervé last summer when he was on a family holiday in Aspiran (Languedoc). He trained in Macon with Regis Pichon who hosted a memorable get together.